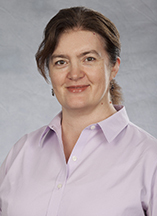 The Calder Library now provides access to the HSTalks Biomedical and Life Sciences Collection of audio-visual lectures. Each lecture is specially commissioned from a leading world expert, including Nobel Laureates and Lasker prize winners. The Collection contains over 2,000 lectures, which are divided into more than 100 comprehensive series. All the talks have been indexed by 'Subject Area' into both 'Categories' and 'Therapeutic Areas'. Clicking on any of these subject areas will show a list of available lectures for each area of interest. The search function identifies talks within the specific 'Category' or 'Therapeutic Area.’ Below each Category or Area appears a list of individual talks, the number of 'Series', as well as a list of all the 'Experts' who have presented talks in this field. HSTalks is accessible from the Library homepage Database drop-down, the Blackboard portal, and the UM Libraries’ new catalog search engine—uSearch. 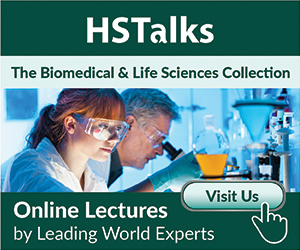 For a quick video tutorial for using HSTalks, please visit the HSTalks website. • The 'View All Talks' in the Lecture section has the option to filter the results by category and date released. • The HSTalks logo at the top of the page will bring users back to the home page. • Entering a search term in the search bar at the center of the homepage searches the entire collection of talks. • Results can be narrowed down to suit specific needs by using filter options. • Features include a “Navigable Slide Index” to navigate to different parts of the talk, a list of the 'Topics Covered', as well as the talk control panel that can be used to pause, change the volume level, and change to full screen if desired. • Below the talk is an option to share the talk with a colleague. • An option to open printable slide handouts is available. • An online form can be used to request updates and new lecture releases. • Registration is required to access HS Talks remotely via mobile devices--just click on the “padlock” on the top right of the screen. GIS, or geographic information systems, are computer-based tools used to collect, create, store, visualize, analyze, and interpret geographic data. Geographers recognized the importance and unique features of space two thousand years ago. Topography and natural resources are location-specific attributes that influence the incidence of diseases as well as opportunities for prevention and intervention. Geographic data (also called spatial, or geospatial data) identifies the geographic location of features. These data include anything on the globe that can be associated with a location. Roads, country boundaries, and address are all types of spatial data. Geographically-referenced attribute data describes features of the population such as death certificates, trauma registries, census data, land and property data, and EMS provider data. Attribute data is "geo-referenced" to a location-specific value. The combination of multiple geo-referenced data sets allows GIS to create powerful spatial analyses. • Choosing strategic market locations by companies. • Demographics and population studies. • Increasing accessibility of health care services. • Finding more cost-effective health care delivery modes. • Analyzing patients’ present and future health care needs. 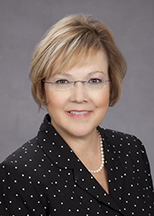 • Identifying a hospital's most profitable services. • Logistics in times of natural disasters for emergency response teams. • Planning for environmental protection efforts by governmental authorities. • Monitoring diseases and pandemics by agencies to identify patterns of occurrence. Calder Library will offer a Geographic Information Systems Workshop focusing on Public Health Applications of GIS that introduces attendees to the ArcGIS Desktop software, ArcGIS Online, and Community Analyst. The ArcGIS software is licensed by UM for non-commercial research and education. The workshop will be on November 7, 2016, from 10 am -12 pm, in the Library's 3rd Floor Classroom. Seats are limited. GIS Librarian, Abraham Parrish, is also available for one-on-one consultation on Tuesdays from 3-7 pm on the first floor of Calder Library. Walk-ins are welcome. uSearch is here! uSearch is a one-stop search engine for finding physical and digital resources available in all University of Miami libraries. select Advanced Search to look for a specific item or to apply specific search criteria. Medical Campus users will have automatic access to resources and remote access will continue to be provided with Single Sign-On Authentication for UM students and employees. Remote access for JMH residents and staff and other approved visiting library users will require registering for a restricted-use CaneID/C-Number. You can register in person or online. For additional information about uSearch, please read this article in the e-Veritas. BoardVitals—a powerful tool to help prepare for the Boards! The University of Miami now has access to BoardVitals, a high-quality, effective, and powerful exam review tool that can be used anytime and anywhere via phone, tablet, or computer. BoardVitals provides access to test banks to help prepare for board exams for over 30 medical specialties and the USMLE Step 3. • Highest quality board review questions from leading medical publishers, research institutions, and practicing clinicians. • High-yield, vetted questions listed up front to maximize study time. • Constantly evolving cloud-based system that updates every 24 to 48 hours. • Allows users to create customized practice tests. • Advanced statistics so users can see strengths and weaknesses. • Detailed, current explanations with each answer, with references and links to sources. • Allows administrators to monitor user’s usage and performance. • Allows Faculty to send customized exams to students. If onsite for your first login, click the BoardVitals Register button and use your institutional email address to sign up. If you are accessing BoardVitals for the first time remotely, you must use your @med.miami.edu, @jhsmiami.org or @miami.edu email address for registration and you will receive an email with a validation link. After initial registration, you can access BoardVitals from the Database dropdown on the Calder Library Website, or sign in from the Board Vitals Website. Get books, book chapters and journal articles for FREE! Calder Library personnel will locate books, book chapters and journal articles for you for FREE! • Ever hit a paywall when trying to download an article? • Ever arrive at a dead-end when searching for a book in the library? Although the average delivery time is 1-3 days for articles/book chapters and 1-2 weeks for books, articles and chapters are often received much sooner. For further assistance, please contact the Inter-library Loan (ILL) department at (305)243-6749 to request books, book chapters and articles from a non-UM library FREE-of-charge for all UM students, faculty, and staff and Jackson employees! To better identify researcher expertise and potential collaborators, the University of Miami has launched the Pure Experts Portal, making it easier for UM researchers’ unique strengths to be discovered. The Pure Experts Portal is a visually appealing, easy-to-use online solution for research networking that aggregates author information such as H index, co-authors, cited papers, journals, grants, and affiliation from numerous internal and external sources onto a single platform. Profiles on the Pure Experts Portal are public-facing and searchable, making your research team globally discoverable. The rich functionality of the Pure Experts Portal reduces time spent searching for researchers and accelerates the identification of expert collaborators from across disciplines, thus facilitating more effective and productive partnerships. Researchers, students, research administrators and executives, deans and department heads can all benefit from using Pure. With Pure Experts Portal, you can easily create summaries of activity around departments, research groups or individual researchers. How do I access the University of Miami Pure Experts Portal? Who can access the Research Profiles? Funding agencies, corporate sponsors, patients and interested parties can all access and view the research enterprise of our organization to find experts or potential collaborators affiliated with the University of Miami. Where does the profile information come from? 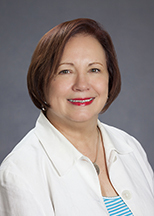 University of Miami researchers are mapped to organizational units based upon their department of primary academic rank appointment. Faculty are also mapped to their Institutes and Academic Centers of memberships within the Research Profiles. The publications that are listed on a profile are exclusively matched from the Scopus citation database. If you scroll down to the bottom of any page in the Pure system, you will see a Log into Pure link. Simply click this link and login with your CaneID and password. What if I don't see my profile? Faculty information for Research Profiles are provided to Pure Experts for biannual updates. If you're new to the University of Miami, your information should be included no later than six months after your start. Calder Library began its first Social Media initiative by launching its Facebook page. It will be used to promote the Library’s resources and services, and to post announcements and links to useful websites. 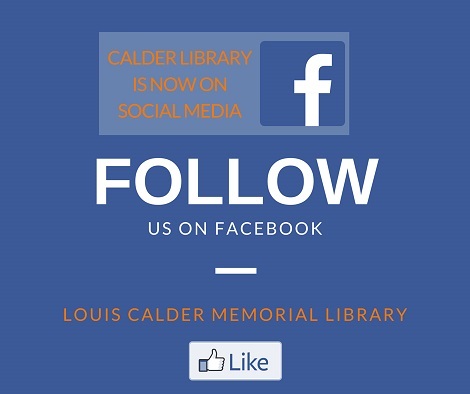 Patrons can access the Library’s Facebook page from Calder’s website, or by searching for Louis Calder Memorial Library on Facebook. We encourage patrons to visit Calder Library’s Facebook page, “Like” the page, and “Share” any of the postings! 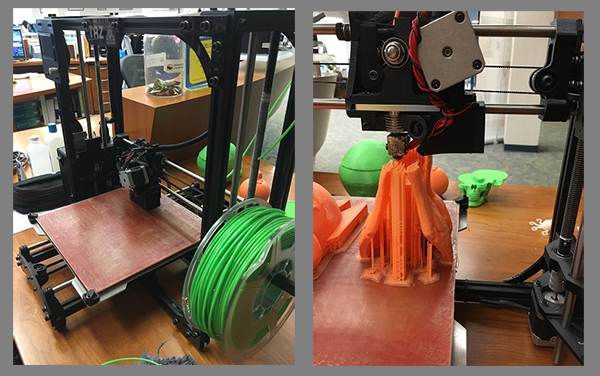 The Calder Library now offers 3D printing for all students, faculty, staff and other affiliated patrons. Users can submit a job request at the Circulation desk or by contacting Library staff via email with ‘3D Printing’ in the subject line. Requestors are welcome to view the printer in action—although this 3D printing is a slow process that can take hours! Click here to view the Library’s 3D Printing Policy. 3D printer users are encouraged to take advantage of shared files located on the NIH 3D Print Exchange. The NIH 3D Print Exchange provides models in formats that are readily compatible with 3D printers, and offers a unique set of tools to create and share 3D-printable models related to biomedical science. Find designs by clicking the Discover button. You can also share original print files on the Exchange by clicking the Share button. 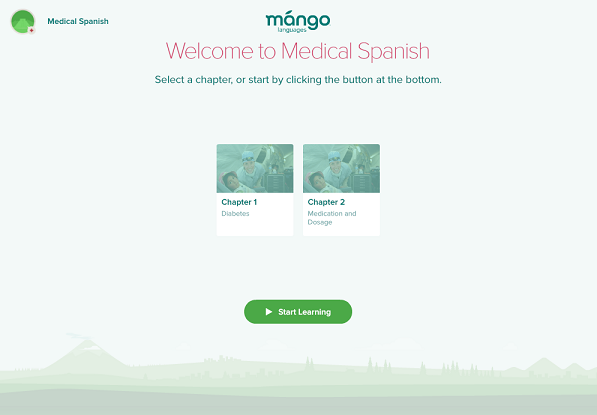 Learn basic conversations in “Medical Spanish,” and in 70+ languages, including Haitian Creole, Spanish, French, Chinese, and others. Create a personal profile which will keep track of progress, organize courses, and provide access to the Mango mobile apps. The interactive tool offers voice comparison, translations, and more. Mango lessons are structured with fun and easy techniques based on repeating spoken conversations. The lessons are short, easy to follow, and self-paced. The “Specialty Courses” include conversations in French about wine and cheese topics; conversations about the Zodiac, Text Talk for texting in English and Spanish, and other interesting topics. There are some system requirements such as Java Script, Adobe Flash Player, speakers, and a microphone to record and listen to the conversations. Try Mango Languages by clicking here. Use your Cane ID and password to create your personal profile. The Calder Medical Library now offers a Personal Librarian Program (PLP) to assist medical students during their four years at medical school. The program matches a librarian to each student, providing a personal contact for research and library-related questions. 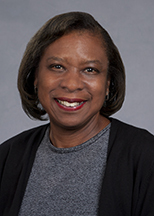 A Personal Librarian is able to recommend resources best suited for individual research needs, instruct students in new technologies and resources, and guide students to specific resources as their research and learning needs change throughout their medical education. This new program began with entering first year medical students during the Fall 2015 Semester. Your Personal Librarian serves as a single point of contact for the library--a “go-to” person for all things library-related. We can even help with issues that aren’t library-specific. If we don’t know the answer, we’ll try to find out who can address your question. Your Personal Librarian will contact you several times throughout the year to let you know about new and exciting resources or services in the library. How much or how little you choose to avail yourself of the program is entirely up to you. We’re here for you if, and when, you need us. Each Academic Society has been assigned a Personal Librarian. Check the photo and contact information for your Personal Librarian below; stop in and say “hello” next time you are in the Library! Upgrade Individual Mendeley Accounts to Mendeley Institution Edition--New at UM!